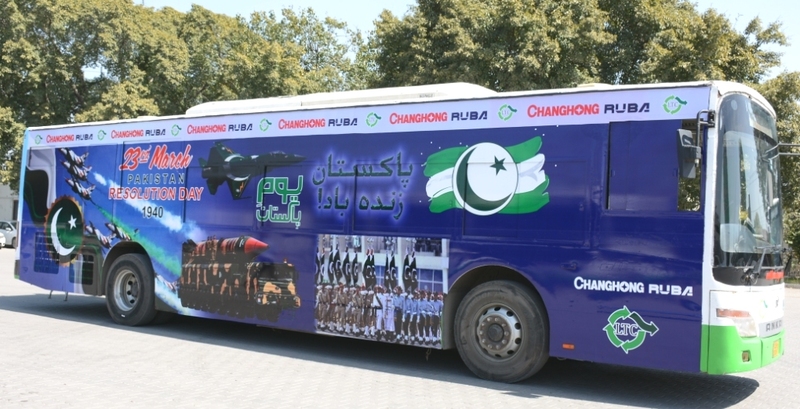 Lahore: Lahore Transport Company has fully decorated two buses that will be on move from Railway Station to Green Town (routes B-33) and from Jallo to Jinnah Terminal Thokar Niaz Baig (B-22). It has been done to mark and celebrate the Pakistan Day (23rd March) as a proud and honorable nation. Bus-Stops that come under the authority of LTC at various places of Lahore are also decorated with pictures in consonance with the Pakistan Resolution Day. LTC maintained the tradition of celebrating the Pakistan Resolution Day fervently.